Making Easter baskets for the kids is one of my holiday favorites. I like that it’s all contained in a basket and I can get creative with it. 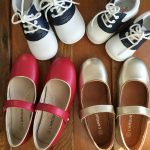 This year we are traveling for Easter, so I have been hunting for items we can easily pack in a suitcase. 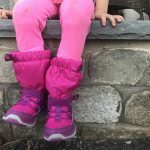 While browsing the web, other blogs posts and stores lately, I’ve found some new favorites this year. So, this weekend I’ve put a list of favorites together and I’m sharing 10 fun ideas for Easter baskets. Also, for 100 more ideas for filling an Easter basket, visit this post. Happy basket making Easter bunnies! I See Me makes my favorite personalized books. 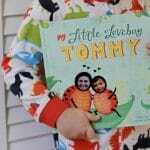 We get the kids one for special occasions and I always give them for new baby books. 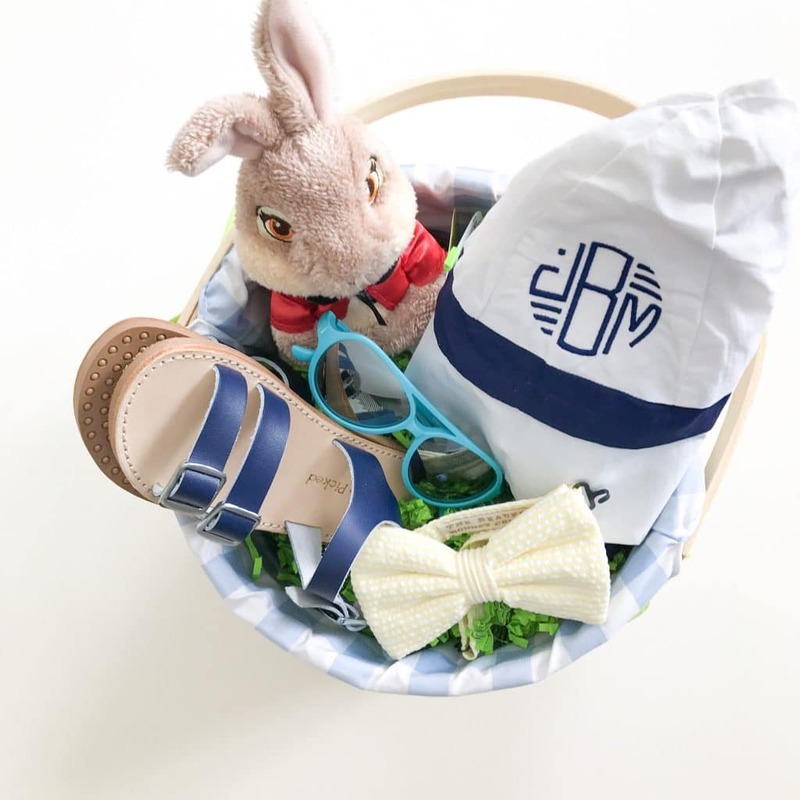 Their new personalized Easter basket sets are so, so cute. Plus: they come ready to go! So if you want an easy Easter basket option, check these out. 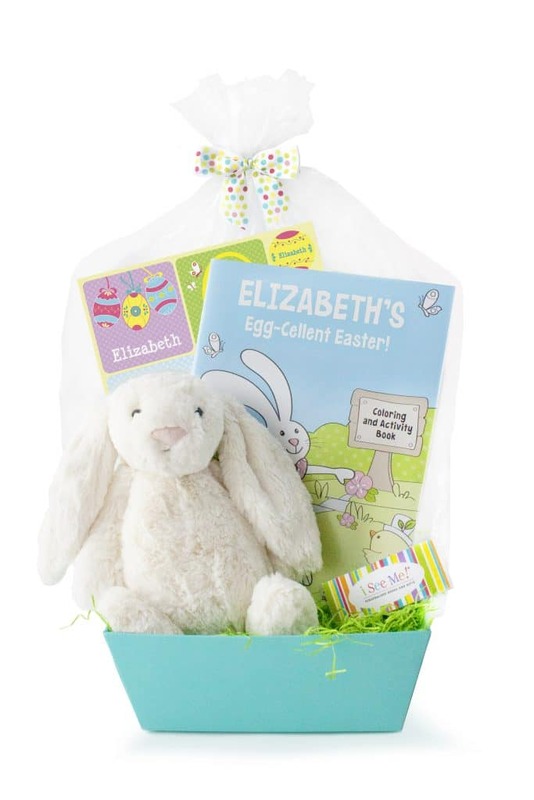 You get the basket, a bunny and personalized stickers and an activity book. You can also order the stickers or the activity book on it’s own if you want to add them to your Easter baskets. I ordered these for my 4! 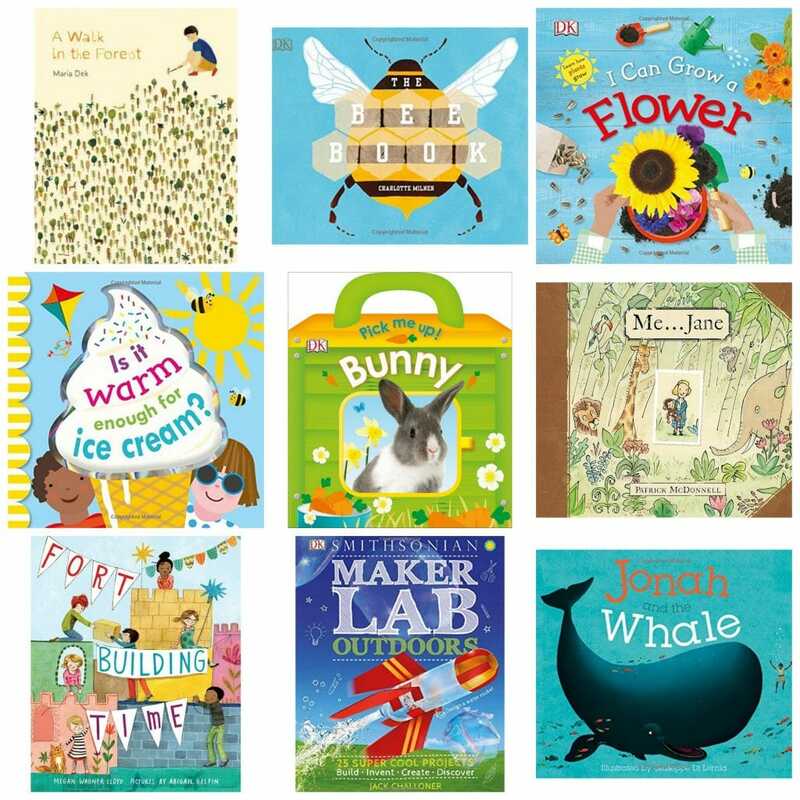 I See Me also has a lot of personalized book titles that would be sweet for Easter, like “Thank you Lord for Everything” and “My Snuggle Bunny”. They’re having a great sale right now where you save 10%, 20% or 30% depending on how much you spend. See their site for details. 2. 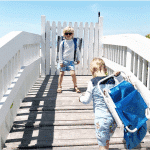 Personalized Sun Hats: While we’re talking personalized Easter basket goodies…. A personalized sunhat is one of my favorites for babies & toddlers. My favorite are Beaufort Bonnet Company and I got Miles a cute bucket hat for this year’s basket. For monogramed gifts, their deadline is 19th and the last day for non-monogrammed items is the 23rd. 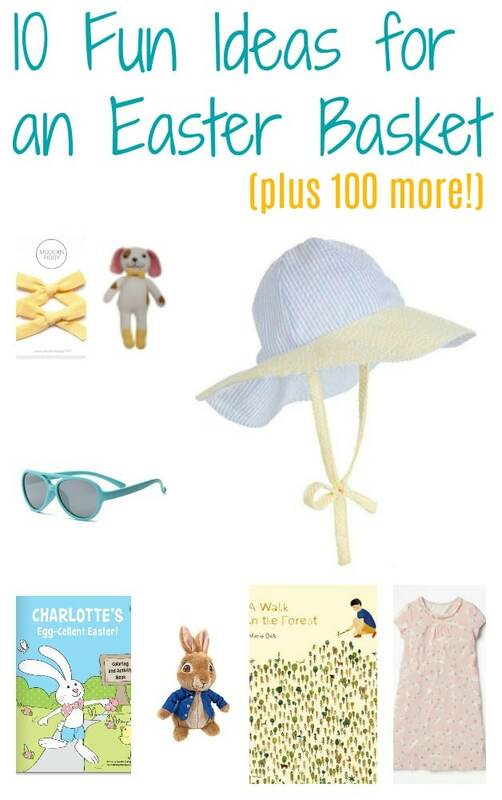 Other fun Easter basket items from Beaufort Bonnet: seersucker bowties, paci clips, bibs, knit dolls and bows. 6. 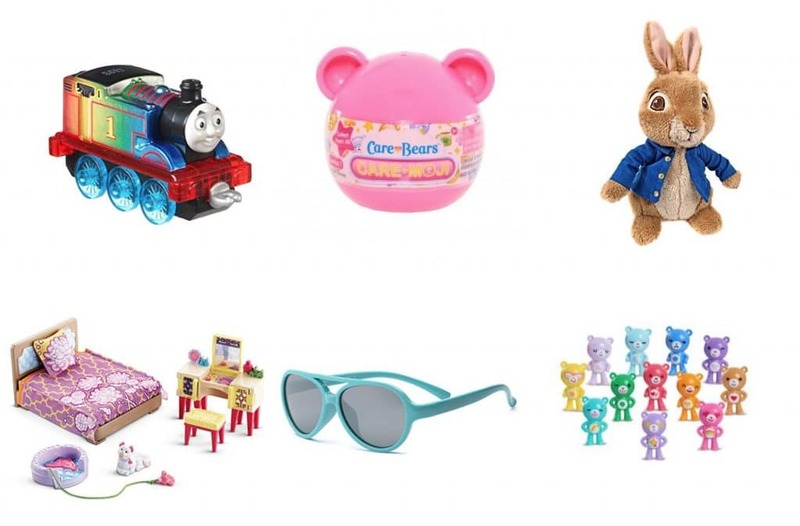 Surprise Toys: Surprise toys are all the rage lately and they make for good Easter basket fillers because it’s kind of like opening an Easter egg in an egg hunt. For the boys, we love the Tiny Tonka’s. For the girls, Kitty in my Pocket Carriers, and Puppy in my Pocket Carriers and the new Care Bears Care-Moji Figures (come in a little egg like container). 7. Peter Rabbit: Peter Rabbit is very popular right now with the new movie and being that all the toys are “bunny themed” they make for great basket fillers. 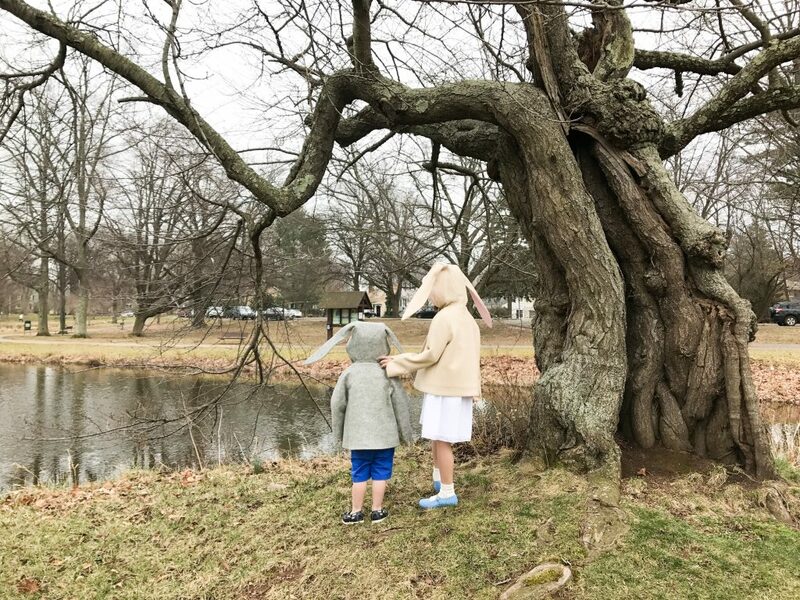 I’ve seen Peter Rabbit stuffed bunnies, cute plastic Easter eggs with the book/movie characters and an adorable little Peter Rabbit Garden Set. 8. Fisher Price Favs: You can get as creative as can be with the baskets but sometimes the kids classic favorites make the for the biggest basket hits. For us those classic favorites: Thomas the Train for Miles (I am ordering this fun Rainbow Thomas for Easter! ), Super Hero Imaginext for Tommy and Loving Family doll house accessories for the girls. If you have a baby to make a basket for this Easter, I love this little Sweet Sounds Bunny. 9. 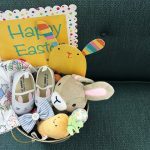 Bows: I love how bows look in an Easter basket and my girls still love wearing them, so we’ll have another Easter with bows in the basket. My two favorites to order from are Modern Piggy and Wunderkin. Both have really pretty spring color bows right now. 10. Pajamas: I find right after Easter is when we start to switch over from our warm fuzzy Christmas pajamas and into shorts and short sleeves night gowns. So summer pjs in an Easter basket is perfect timing! My favorite are Mini Boden (there’s even a cute bunny nightgown!) and Carter’s. Now for something super festive to wear or give this Easter: Little Goodall. I’ve seen this brand pop up a few times over the years as I am always searching for “animal clothes” for my little animal lovers. They have the cutest bunny coats for Easter with ears on the hood. They are wool with a really soft lining. Little Goodall also has bunny dresses and adorable bunny hats. The entire line is made by hand in Texas. Disclaimer: This post contains affiliate links. We were not compensated for this post. Some items we received for the purpose of review and some we received a discount. As always, all opinions are my own. Great ideas! We love I See Me! 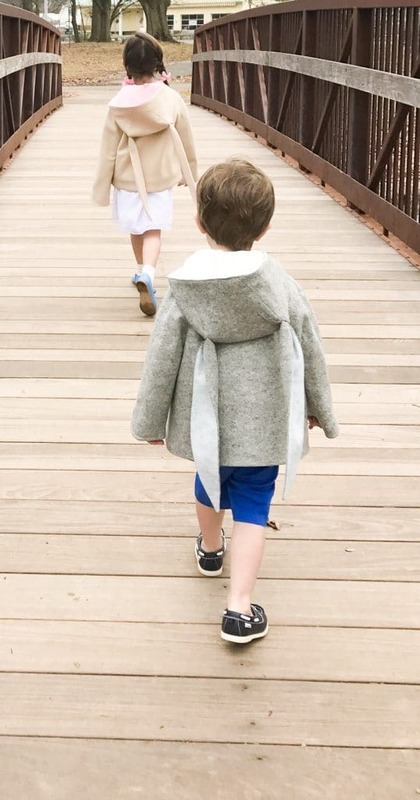 And those coats are ADORABLE!